The Magpie-lark is distinctively marked in black and white. The thin whitish bill and pale iris separate it from other similarly coloured species. The adult male Magpie-lark has a white eyebrow and black face, while the female has an all-white face with no white eyebrow. Young birds have a black forehead, a white eyebrow and a white throat. 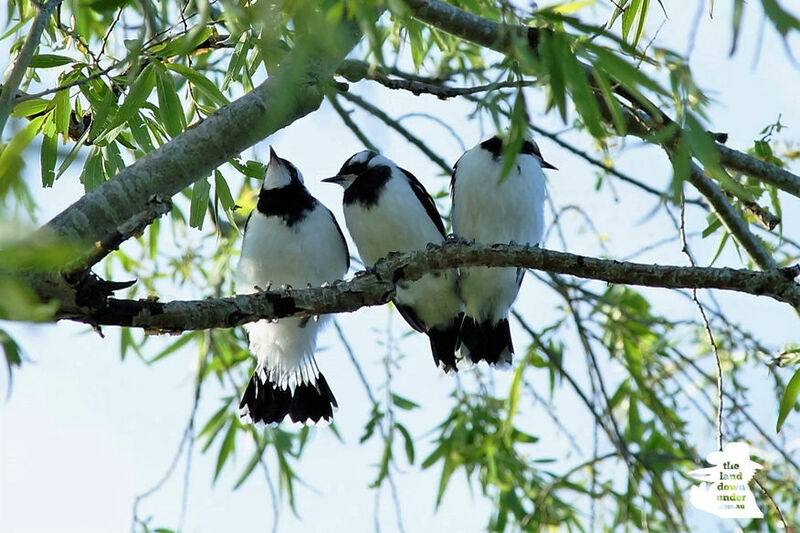 The Magpie-lark is often referred to as a Peewee or Pee Wee, after the sound of its distinctive calls in New South Wales and Queensland and is also known as Murray Magpie in South Australia. The name Magpie-lark is quite misleading, as the species has no link with either the magpies or the larks. However, the Magpie-lark is sometimes confused with the Australian Magpie. While both species are black and white, the Magpie-lark is noticeably smaller than the Australian Magpie. Magpie-larks are confined to Australasia, being found throughout Australia (although only a rare vagrant to Tasmania), southern New Guinea and Timor. Magpie-larks are found in almost any habitat except rainforests and the driest deserts and are familiar urban birds. 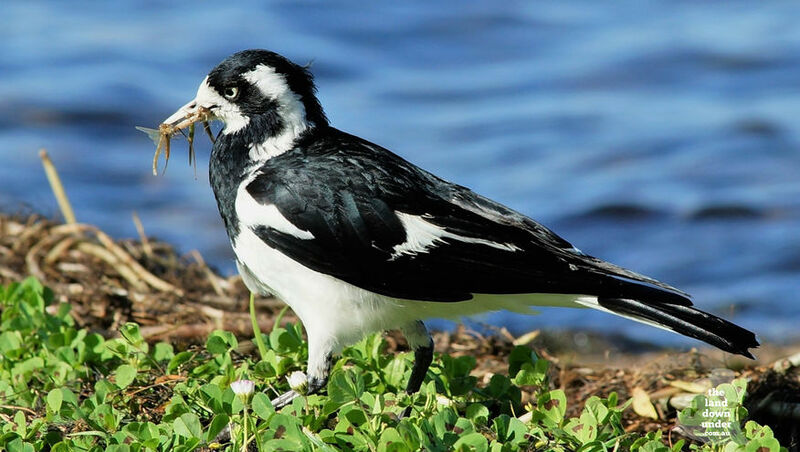 The Magpie-lark is mostly ground-dwelling, and is usually seen slowly searching on the ground for a variety of insects and their larvae, as well as earthworms and freshwater invertebrates. Magpie-larks build an unusual mud nest and generally breed from August to December (though may occasionally breed outside this time). During the breeding season both the male and female gather wet mud and construct a bowl-shaped nest on a horizontal branch, or similar site, often up to 20 m above the ground. The bowl is lined with feathers and grasses. The male and female birds often sit side by side and call alternately, each raising and lowering their wings as they do so. Magpie-larks aggressively defend their nest and territory, which may occupy up to 10 ha. Both parents share the incubation duties and care for the young. If conditions are favourable, more than one brood may be reared in a year. Magpie-larks can be aggressive during breeding season.